Chances are, all Americans have felt the care and impact of a nurse at some point in their lives. As National Nurses Week kicks off to recognize the efforts of nurses across the country, CareerBuilder is releasing a new study that explores the growing demand for – and demands on – this critical segment of the workforce, and how this is impacting nurses’ job satisfaction. Nursing jobs are increasing at an accelerated rate. CareerBuilder’s analysis of the labor market shows the number of nursing jobs (RN and LPN) in the U.S. grew 6 percent from 2012 to 2016 to 3.5 million, and is expected to grow another 7 percent from 3.6 million in 2017 to 3.9 million in 2021. At the same time, employers are struggling to find qualified labor to fill job vacancies, leaving nurses currently on staff with larger workloads and longer hours. 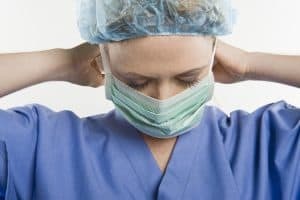 Day-to-day demands and high pressure situations have 7 in 10 nurses (70 percent) saying they feel burnt out in their current job, and 54 percent of nurses rating their stress level at work as high. The nationwide survey was conducted by Harris Poll on behalf of CareerBuilder from February 16 to March 9, 2017 among a representative sample of 3,215 full-time, private sector workers across industries in the U.S., of which 93 workers are nurses. The large number of open nursing positions in the U.S. is not expected to cure itself anytime soon. Fifty-six percent of health care employers say they currently have open positions for which they cannot find qualified candidates, seven percentage points higher than all industries surveyed. CareerBuilder research looked at the number of unique (or individual) nursing job postings in Q1 2017 and compared that to the total number job postings for nurses – meaning how many times those unique job postings were posted on other sites. The higher the posting intensity ratio, the more effort employers are putting toward hiring. In Q1 2017, the average number of unique job postings for registered nurses was 178,586, but the total number of job postings for registered nurses in that timeframe was 1,749,900 – a ratio of 10:1. That means every unique job listing for registered nurses was posted an average of ten times on different sites, signaling a highly competitive hiring environment where employers are using multiple touch points to try to reach potential job candidates. Job postings for licensed practical nurses and licensed vocational nurses tell a similar story with both having 8:1 job posting intensity ratios. Nurses take care of us – but are they taking care of themselves? The American Nurse Association has designated 2017 as the “Year of the Healthy Nurse,” and the theme of this year’s National Nurses Week is “Nursing: The Balance of Mind, Body and Spirit.” These efforts focusing on nurse wellness are not without cause. Seventy-eight percent of nurses say their company does not offer classes or programs to help employees manage stress. The good news is that despite high stress levels, the majority of nurses are happy in their jobs, but there are areas for improvement. While three quarters of nurses (76 percent) say they are satisfied with their jobs overall, a third (33 percent) are dissatisfied with their career progress, and 22 percent are dissatisfied with their work/life balance. One quarter of nurses (26 percent) are dissatisfied with their pay and the same amount don’t earn anywhere near their desired salary level. Three in ten nurses (30 percent) are going back to school or getting a certification or training to make themselves more marketable this year, compared to 20 percent of U.S. workers across all industries. Eighty-five percent of nurses say that while they’re not actively looking for a new job today, they would be open to one if they came across the right opportunity. This survey was conducted online within the U.S. by Harris Poll on behalf of CareerBuilder among 3,215 employees ages 18 and over (employed full-time, not self-employed, non-government) between February 16 to March 9, 2017, of which 93 workers are nurses (percentages for some questions are based on a subset, based on their responses to certain questions). With pure probability samples of 3,215 and 93, one could say with a 95 percent probability that the overall results have a sampling error of +/- 1.73 and +/- 10.2 percentage points, respectively. Sampling error for data from sub-samples is higher and varies.